Many disorders cause painful inflammation that interferes with daily activities. One of the most common is arthritis, which affects about 46 million Americans, according to the Arthritis Foundation. Inflammation in arthritic joints involves an enzyme called cyclooxogenase, or "Cox," that starts the biochemical pathway leading to swelling, stiffness and pain. Inhibiting this enzyme is one approach to stopping inflammation and relieving discomfort. Several herbal remedies may accomplish this, including use of turmeric and bromelian. Consult your doctor to determine if adding these herbs to your regimen is appropriate for you. Turmeric is an herbal remedy used in both traditional Chinese and Indian medicine. Practitioners recommend it as a general health tonic and to treat a number of different conditions. The biologically active ingredient, curcumin, is an anti-inflammatory compound that inhibits the activity of cyclooxygenase and other enzymes that cause inflammation, according to the Linus Pauling Institute at Oregon State University. Curcumin also removes free radicals, which are by-products of digestion that may harm cells by damaging DNA. 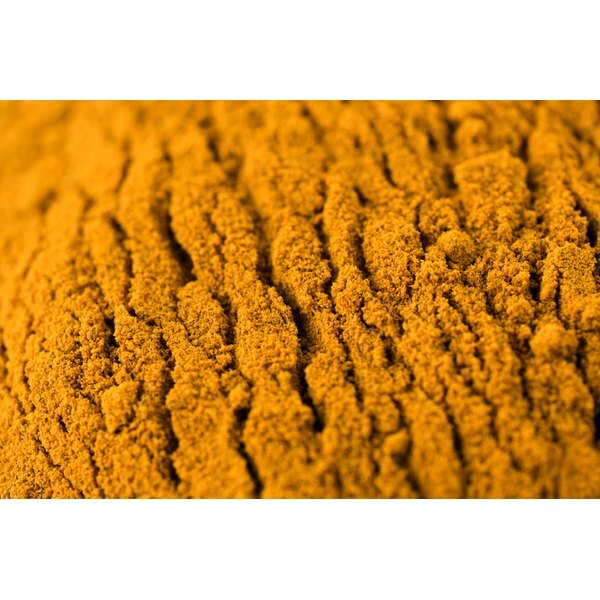 A number of studies support use of turmeric or purified curcumin to inhibit Cox activity and suppress inflammation. In one report by Dr. V. Kuptniratsaikul et al published in the August 2009 "Journal of Alternative and Complementary Medicine," curcumin extract was as effective in treating patients with knee arthritis as ibuprofen. In another study, published in the December 1986 "International Journal of Clinical Pharmacology, Therapy, and Toxicology," Dr. R. Satoskar et al observed that curcumin reduced inflammation in patients recovering from surgery. Several clinical trials with curcumin are ongoing as of early 2011, including one at the University of California in which it is being evaluated as a potential treatment for rheumatoid arthritis. Bromelian is a natural enzyme purified from pineapples. According to Memorial Sloan-Kettering Cancer Center, bromelian may have anti-inflammatory activity due to its ability to reduce levels of prostaglandin, a compound that is increased by Cox activity and that causes inflammation. Bromelian may have an added benefit when taken along with turmeric or curcumin because it may increase the amount of curcumin absorbed by the digestive tract, according to the Nutritional Supplement Educational Centre. Turmeric and bromelian are available at most health food stores as capsules, and each may be taken two or three times daily. Although these herbs are generally considered safe, some people may develop an allergy to one or both. Avoid turmeric and bromelian if you take immuno-suppressive or blood-thinning drugs as some interactions are possible. Consult a doctor to determine if consuming one or both of these herbs is advisable for your condition. PubMed: "Evaluation of Anti-inflammatory Property of Curcumin (diferuloyl methane) in Patients with Postoperative Inflammation", by Satoskar, R. et al, "International Journal of Clinical Pharmacology, Therapy, Toxicology" , 1986. PubMed: "Efficacy and Safety of Curcuma Domestica Extracts in Patients with Knee Osteoarthritis", by Kuptniratsaikul, V. et al, "Journal of Alternative and Complementary Medicine", 2009.